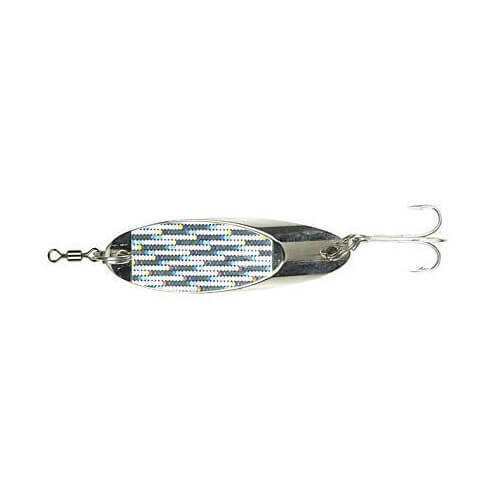 The dexter wedge is without doubt, one of the best Mackerel lures ever made. It is highly reflective with a incredible wobble action through the water, due to it’s wedged shape. Some people also use this as a weight at the end of feathers to catch even more mackerel. The Dexter wedge is also good for other species, such as; Bass, Pollack, Cod and Wrasse. The bigger ones are more suited for boat or kayak fishing. Ideal for all predatory fishing including some fresh water species.